If you're planning a trip to Japan, renting a pocket WiFi is a great way to stay connected during your travels without incurring roaming charges or having to buy a new SIM card. Whilst it is true public WiFi hot spots have become more available over the past few years, you'll quickly realise it won't be enough to keep you connected on the road, hence the need to invest in a pocket WiFi. This small portable WiFi device has completely changed the way people travel. Whereas before, you would most likely need to buy several prepaid SIM cards for every single traveller in your group, with one standalone pocket WiFi you can instead connect multiple devices at once, with unlimited internet access. It's also light, easy to transport, and fits comfortably in your pocket. Where can I get a pocket WiFi in Japan? How many devices can connect to a pocket WiFi? What is the cost of a pocket WiFi rental? Which pocket WiFi should I choose? Pocket WiFi is a small portable device with a SIM card inside which transforms 3G and 4G signals into a private and secure WiFi connection. It's perfect for tablet, smartphone and laptop users who want to stay connected with high speed wireless internet whilst travelling. For example, you're walking the streets of Tokyo, and want to find a good restaurant to sample some traditional Japanese foods. A simple search on TripAdvisor or Google Maps will quickly pinpoint the best restaurants nearby with directions on how to get there. What we love about the pocket WiFi router is that you can connect multiple devices to it at the same time, which you can use anywhere in Japan (subject to network coverage). It meant that for our Japan trip we were always connected, and could easily communicate with family and friends, upload to social media whenever we wanted, research things on the go, and get GPS directions from Google Maps. It's also light, and fits perfectly into the palm of your hand. What is pocket WiFi? This tiny unassuming box of course! Can connect many devices at the same: you will no doubt save a lot of money if you are several people travelling together. Instead of buying a separate SIM card for each smartphone, with a pocket WiFi, you can connect numerous devices at the same time. This also includes tablets and laptops, in addition to your smartphone. Easy to carry: a pocket WiFi is usually the size of a smartphone or smaller, and weighs between 80-150 grams (3-5 ounces). No roaming charges: an obvious advantage, but with a pocket WiFi you will save a lot of money on roaming charges. Unlimited internet data: most pocket WiFi services offer unlimited data usage. Whereas with prepaid SIM card packages, we've found them to be quite limited with the data offered and have had to top up with more (1GB, 2 GB, 5 GB etc…). This makes a massive difference to the overall cost of your internet access throughout your trip. Secure: a pocket WiFi creates a private and secure connection to your device, unlike public WiFi hotspots (such as in a restaurant, hotel, airport, train etc), which are often not secure. Easy to use: one of the things we loved about our pocket WiFi during our travels in Japan is how simple and easy it is to use. You simply switch it on, connect your devices to the WiFi network by entering the credentials, and voila – you're sorted for the rest of your trip! By contrast, what we hated about SIM cards was the amount of time wasted playing about with the settings to activate them. So on a few occasions, we had purchased a SIM card and ended up not using it because it took too long to activate properly. Getting a pocket WiFi in Japan is very easy. You can either pre-order it online before you set off, or you can rent it over the counter at Narita or Haneda airports in Tokyo. However, we strongly recommend to order it online before you go to avoid any disappointments when you arrive. During busy periods, vendors may sell out and you may end up with no Internet access which would of course be HELL ON EARTH!!! Ordering online also gives you the opportunity to compare prices and get the best deals. It allows you to select options like whether you want to collect it at the airport or have it delivered to your hotel. For our trip to Japan, we pre-ordered our pocket WiFi and arranged for it to be delivered to our hotel. The returning process cannot be any more simple: you just place this little magical box into the pre-paid envelope they give you, then drop it off in a post box anywhere in Japan. The number of devices which can connect to a pocket WiFi varies, depending on the type of router you get. On average, pocket WiFi routers allow between 5 to 15 devices to connect at the same time. Make sure you check this before you rent your pocket WiFi. Most pocket WiFi internet providers will specify the maximum number of connections allowed. Data limit: probably the most important factor. Most providers will limit the data consumption on a daily basis, or over the total usage, in exchange for a very low price. To avoid disappointment, make sure the cost of your pocket WiFi includes unlimited internet usage. Number of days: the longer you stay, the cheaper it is to rent a pocket WiFi in Japan. For example, a 15 day rental with GetYourGuide will cost you $75. If you add $7 to this, you can keep it for 20 days, which works out to just $1.30 per extra day. Number of devices: a basic router allowing only 5 connections tends to be cheaper than a router supporting 15 connections. The speed: the speed is essential when it comes to renting a pocket WiFi. Always check before ordering. Anything between 75MBps and 187MBps is good. Delivery / return policy: a low price often means that the delivery and return is not included in the price. Make sure you check whether your pocket WiFi can be delivered to your hotel when you arrive, and for the return, a prepaid envelope is provided. Based on our own first hand experience, along with the online research we've done, we've rounded up the pros and cons of 3 best pocket WiFi providers in Japan in our table below. We've only included rental providers that offer an easy online booking process in English, with clear pricing set out, and no hidden fees. We found that a lot of providers make you pay extra for basic services such as hotel delivery. Amount of 4G data: the total amount of high speed data you can enjoy with your pocket WiFi. If you reach the limit, internet will still work but at lower speeds usually on 3G instead of 4G. Max. numbers of devices connected: the total amount of devices that connect simultaneously to your pocket WiFi. The higher the number, the better. Speed: the maximum download speed you can expect to get from the pocket WiFi to your devices. 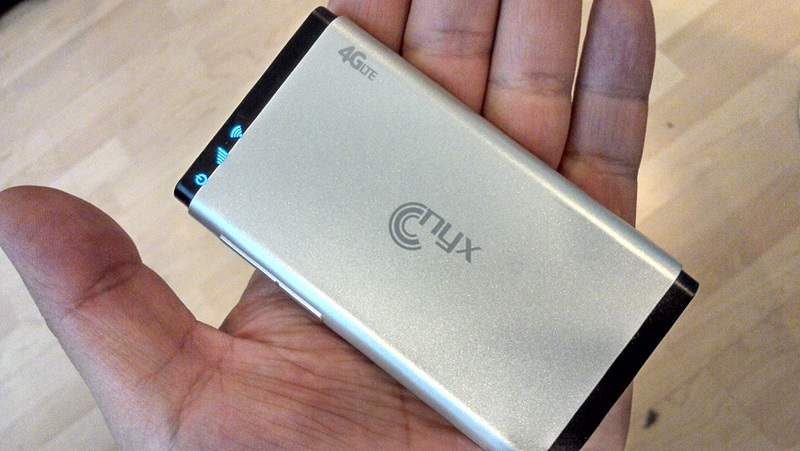 Battery life: maximum battery life for your pocket WiFi router. Anything between 8 to 12 hours is good. Hotel delivery: whether the provider offers free hotel delivery or if you need to pick it up at their office. Easy envelope return: some providers provide a pre-paid envelope for you to easily return your pocket WiFi from anywhere in Japan by placing it in any (Japanese!) letter box. Free cancellation policy: some providers provide a free cancellation policy. We find this to be important as you never know if you plans are going to change. First, make sure the portable router is fully charged up. It takes around 3 hours for a full charge but it depends on the WiFi router manufacturer. To connect your device to the pocket WiFi, you just need to enter the WiFi name and password key once, then you're good to go for the entire trip. The devices need to stay within 65-80 feet (20-25 meters) from the pocket WiFi. As with any portable router, the further away your device is from it, the weaker the signal becomes. One final tip: if like us you're heavy users of internet data, then take with you a good battery pack to charge up your pocket WiFi on the go.